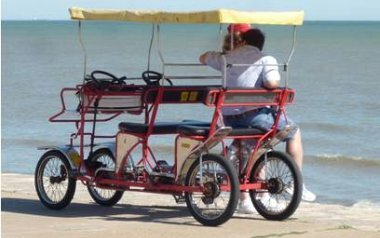 Galveston seawall Attractions in Texas. 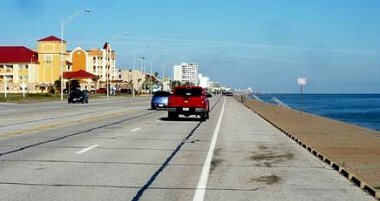 The Galveston Seawall was designed and built by retired Army engineer Henry Robert after the 1900 Hurricane to prevent strong sea waves. It has been tested by other hurricane waves and it's successfully serving its purpose today. The wall is more than 5 miles long and 17 feet high. Washed sand to the shore has reduced the height in some areas. 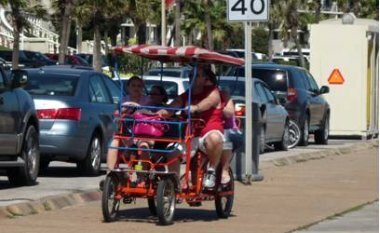 Today, it has become a major Galveston vacation attraction center for many tourists who come to Galveston. 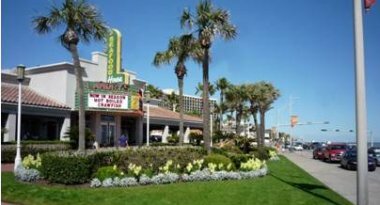 The seawall has many nice Galveston hotel accommodations, motels, condos, other vacation rentals and thriving shops. Many competing restaurants serve all kinds of food. A lively beach stretches along the seawall. 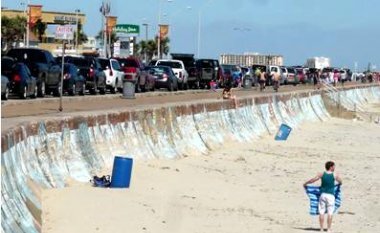 The eastern part is heavily congested with traffic and entertainment during the spring and summer weather because of the popular Stewart beach. There are 120 meter long piers leading into the sea from the wall at certain locations. Visitors take a walk down there and some do fish in the waters. The broad seawall roads have wide walkways big enough to accommodate bikers, joggers etc. There are areas allocated for cars and other standard vehicles. Parking is free. But sometimes it is difficult to find parking space. 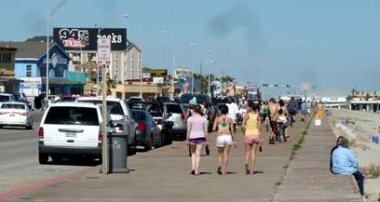 It's fun to walk along the Galveston Seawall but we face one good temptation. The fine restaurants call our names and it's hard to resist. All other top attraction sites are not too far away. Take a look at some of the photos of the seawall below. The view of restaurants along the seawall. Seawall and the beach area in Galveston. Riding a bike along the seawall. Bikes like this can be rented at special locations on the wall. Enjoying the breeze along the seawall. 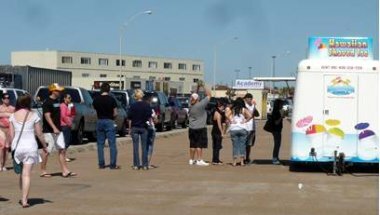 Mobile restaurants operate along the seawall.